A successful bakery encourages customers to purchase baked goods by appealing to a variety of different senses. Smell, sight, taste, and even touch are all important senses to consider when designing the layout of your bakery and creating marketing plans to sell your baked goods. When customers walk through the doors of your bakery, they should be immediately accosted by the fresh smells of baking bread, warm croissants and hot chocolate chip cookies. Many successful bakers even keep a small loaf of bread in the oven during operating hours simply because the aroma of fresh bakied bread is a huge appetite enhancer and spending inducer. It doesn't take much to create an appealing aroma within the walls of your bakery, but the absence of that warm, crusty bread smell may negatively impact your sales. Customers shop by sight for almost all the products they purchase. The first thing a customer often sees is the product he or she wants to purchase.The visual aesthetic of your bakery must be designed to encourage consumers to purchase not only what they came to buy, but more. Well-lit bakery display cases with carefully arranged baked goods can encourage customers to purchase more of your products. Group like items together and be sure that displays look full at all times. 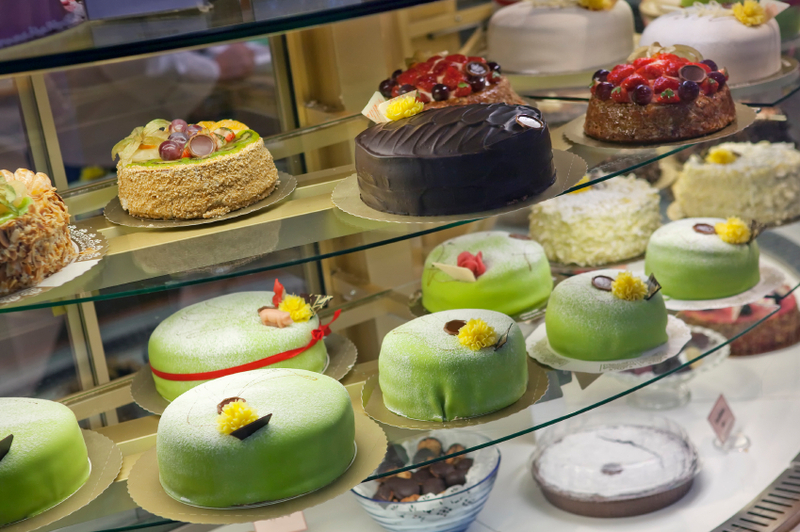 Empty displays are not as appealing to customers as are displays bursting with baked goods. Consider elevating the goods that you want to sell quickly and put them at consumer eye-level. It's also important to use the proper lighting and color scheme within your bakery itself. Studies have shown that the color blue is an appetite suppressant, while warm colors like yellow, gold, and orange increase the appetite. Of course, in a bakery the sense of taste is one of the most important senses you can cater to. Each and every one of your baked goods needs to combine the optimum proportion of ingredients. Common issues that can derail the taste of your products include overindulgence in a particular ingredient, which causes one taste to overwhelm all the others, or the use of too few ingredients, which can cause a baked good to be flat and uninteresting. One human sense that is often neglected in the bakery world is the sense of touch. Touch is not only experienced through the hands and fingers. The mouth is actually a very sensitive touch organ, which is why the texture of your baked products needs to be perfect. If a cake is intended to be moist and dense, it is crucial to keep the cake covered at all times to prevent it from drying out. On the other hand, if a baked good is intended to be light and fluffy, it's important to carefully select the right flour and leavening agent to achieve this texture. Customers may not be able to identify how much the texture of a baked good affects their reaction to your products, but this sense will play a huge role in your business's success.